501 Mining School Road State Road, NC. 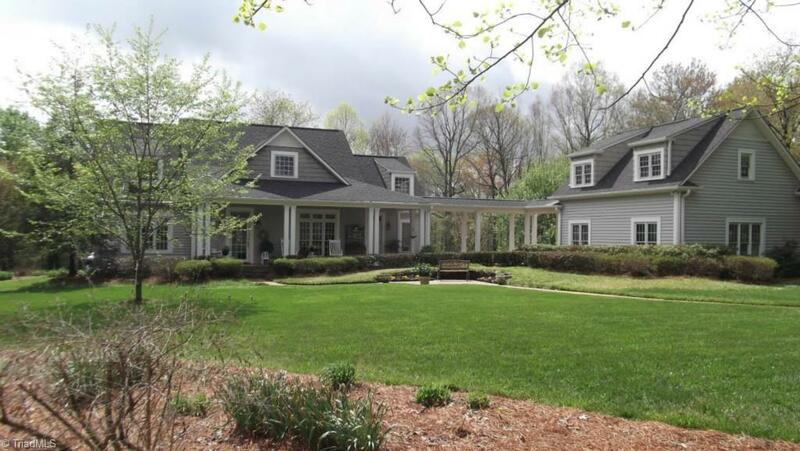 | MLS# 881306 | North Carolina Farm and Vineyard Specialist Patria Properties Inc. Exquisite Low Country Estate/Horse Farm/Vineyard on 25 acres 3 acres in mature grapes, State of the art 5 stall Morton barn built in 2007 w/ living quarters/and a lab which could be easily converted into a winery/ 0r not? if you just wanted to farm and ride. RAMNA, A true park like setting w/ pond and peir and mother in law cottage 2br2 baths also built in 2007 The main home 3br 2 full baths 2300 sq ft built in 1994 has had many updates newer gourmet kitchen, hardwood floors and a rockin front porch.